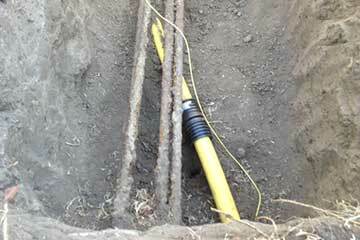 Need Gas Line Repairs or a New Gas Line Installation? Call PLUMBPROS Plumbing & Rooter Today! Natural Gas Leak? If the odor similar to rotten eggs is suddenly apparent or you believe you have a natural gas leak, you should leave the area immediately. Make sure not to use any devices that could start a spark. Once you and your family are out of the home and a safe distance away, call 911 or your local gas company. Once the potential gas leak emergency is over and the gas company has responded, you may find out that you're required to get your gas line leak repaired. Typically when it's the homeowners responsibility to repair the gas leak, the gas company will let you know that you need to hire a licensed plumber to locate and repair the leak. You may need a new natural gas line installed to accommodate remodeling a kitchen or building out a new laundry room. 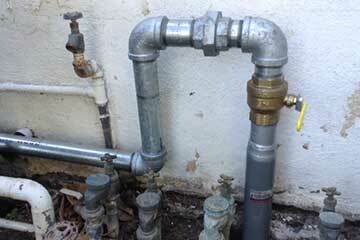 There are a variety of situations that might require you to hire a licensed plumber to install new gas lines. Perhaps you have decided that you want an easy gas grill outside or a fireplace to light up with a touch of a button for some of those cold winter nights. You may have an electric water heater or electric dryer and are thinking of switching to natural gas. Although there may be a bit of a price to pay up front to make the conversion, in the long run, there may be substantial saving. The cost of natural gas has been low for a long time due to a variety of reasons. Natural gas is abundant, reliable and domestic. American energy independence would not be possible if not for the massive supplies we enjoy right here in our own country. In fact, the United States of America has some of the largest natural gas reserves in the world. For this reason, the cost is very affordable and has remained low and stable for a long time. The convenience of natural gas can't be overlooked. Even when the power goes out, you have natural gas. You also cant run out of natural gas. Natural gas is also considered one of the more green energy solutions. Low cost, safe, abundant and consistent makes natural gas a great choice for the homeowners in Georgia.